Where is the Engineering Library? - Ask the Librarians! Q. Where is the Engineering Library? 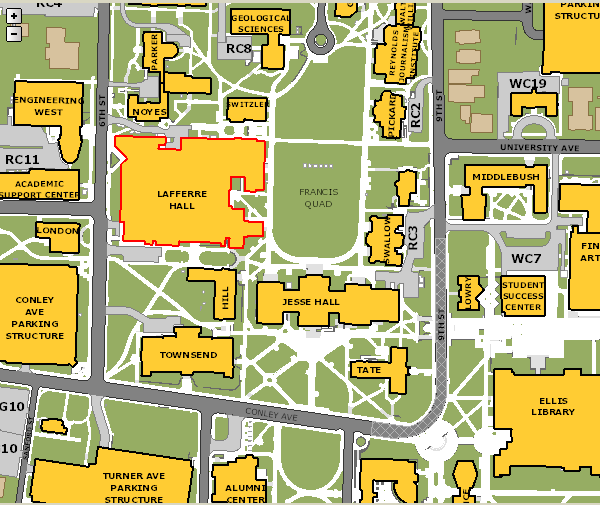 The Engineering Library is in W2001 Lafferre Hall. The easiest way to find the library is to enter Lafferre Hall from the Sixth Street entrance (on the West) and go all the way to the top of the stairs. You can also take the elevator up to the 2nd floor. The Engineering Library is at the top of the staircase and directly across from the elevator.